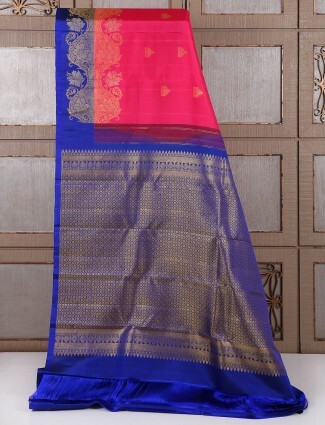 Bridal sarees collection in heavy traditional silk sarees or the red embroidered sarees for a perfect Indian bride look is what we have at different price ranges. 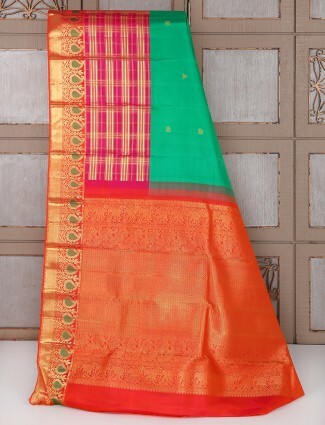 The styles of bridal sarees today have been more in contemporary style, mixture of traditional weaves like paithani sarees, kanjivaram sarees to the lovely bright banarasi sarees. 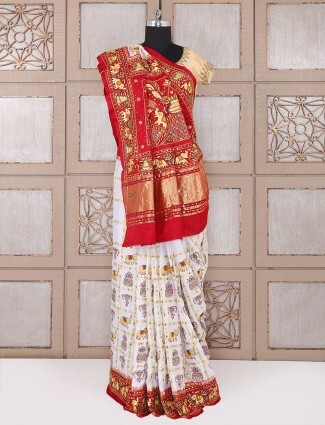 Brides also choose the intricate embroidered borders on silk sarees which bring out traditional motifs and figure motifs in zardosi and metal embroideries. 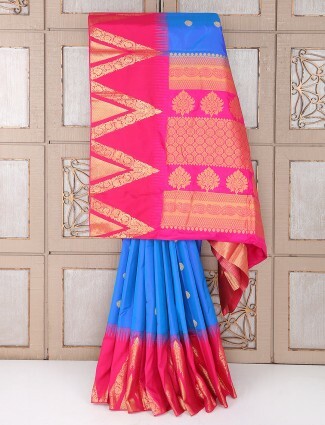 The stunning Lehenga sarees in skirt pleats to gown styled sarees are perfect for the bridal saree looks. 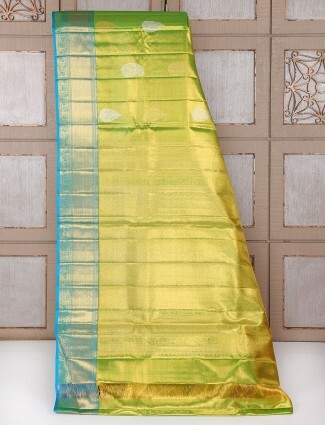 Wedding sarees for bride is more on focussed on traditional sarees in trend today, which brings back the look of pure silk weave sarees like Kanjivaram sarees, banarasi silk sarees, patola weave sarees and such kinds which are highly trending as bridal sarees in Indian fashion. We at G3+ Fashion have all kinds of Indian bridal sarees which can be worn for separate functions and come in different price ranges. Shopping bridal sarees with price range that matches your requirements in budget range to heavy premium range to the designer bridal saree concepts which are all your options within our online wedding saree for bride collection. When it comes to shopping for the bride, we cannot always find the best option at online stores and would want to see the product physically before shopping this. 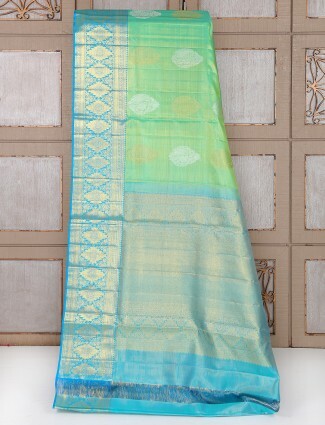 Well at G3fashion.com it's very easy to shop bridal sarees online with a risk free option and best quality guarantee. 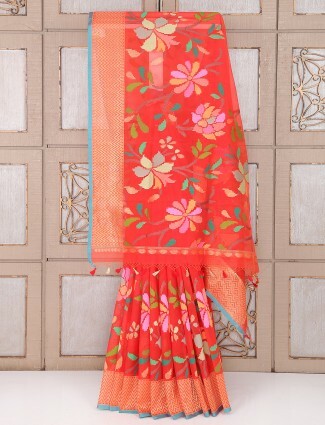 Indian brides will find G3fashion.com the ultimate place to shop wedding sarees for any ceremony to their bridal sarees as we maximize on quality focus and sell original products which are from our own G3+ Store and uploaded on our website for shoppers to buy easy with worldwide shipping. 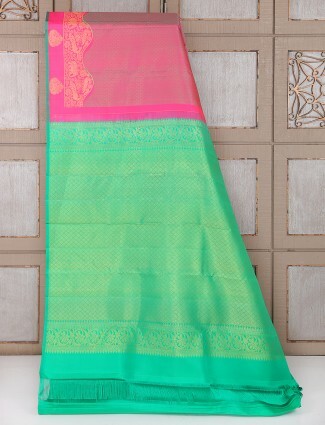 Adding an extra style statement to bridal sarees, can be the designer blouses. You can pick from a number of silk, velvet, net, brocade, and embroidered bridal saree blouse to mix and match your wedding bride saree in your own style. Go for trends from Celebrity styles like Red banarasi saree like Anushka Sharma wore for her wedding reception or go for a net embroidered saree like Disha Patani wore for a wedding look. 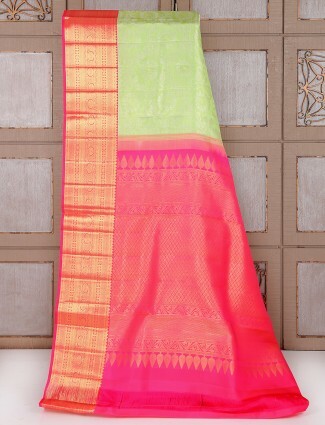 You can always find the latest bridal wear sarees that can work for any of your wedding occasions as the bride or even for your theme wedding saree codes for family and bridesmaids. 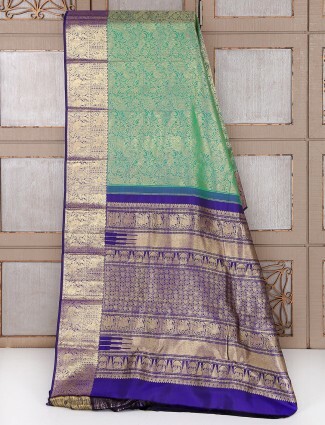 Modern bridal sarees like velvet with embellished buttis scattered all over, a half and half blingy sequin and metallic work saree, or a silk saree in muga silk, banarasi silk, patola silk which has an Indian work border detail with large buttas on bottom panel of saree is what trends highest today in bridal sarees. 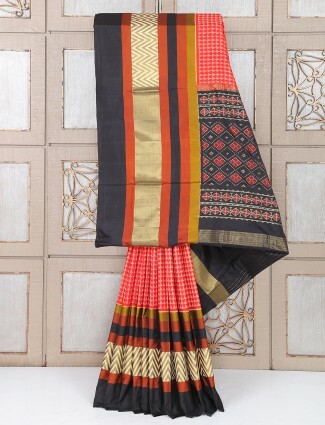 Apart from these you can always go for Traditional Bandhej sarees with silk zari weave in checks weaves and have a zardosi embroidered border which gives it a contemporary Rajhasthani bridal saree look. We have special bridal sarees for NRI weddings which range from different prices, bridal sarees for party, bridal sarees for Sangeet, bridal sarees for wedding vows or phera ceremony to the bridal lehenga saree for reception party. 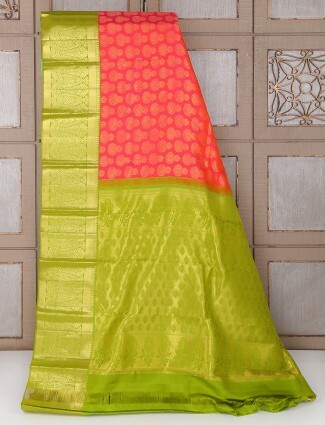 Saree gowns and pre-stitched sarees are also highly demanded with G3fashion.com and we bring some of the best styles of saree gowns in lycra fabric of net, shimmer, crepe, satin, georgette or gold brocades. 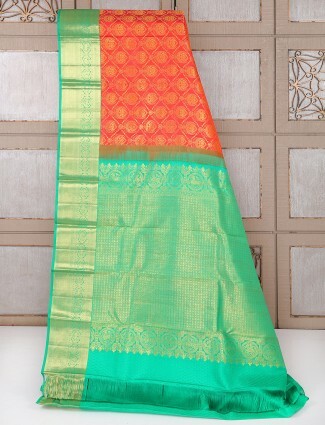 Try our options of wedding sarees for a bride to wear at all her functions in all colors and stop styles. 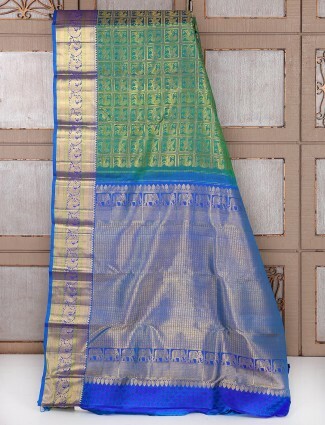 Our top bridal sarees also include styles and weaves of handloom sarees like Patan Patola sarees, South Indian Kanjeevaram Sarees, Pattu sarees, Baluchari Silk Sarees from Kolkata and many more. 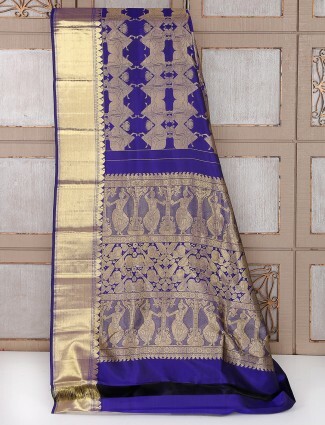 Apart from these you can also pick Indian Motif embroidered sarees in figure motifs like ancient Indian structure, birds, animals, to cultural figure motifs in zardosi, beadwork or resham and kasab work detail. Now you know where you can buy best bridal sarees with price options to match your requirement and always get the 100 percent quality of the saree that you have ordered for when you buy from G3fashion exclusive sarees which are the special sarees from our G3+ Store.